The Freedom mount series features stainless steel hardware for all products. Versatility is one of the most desired features of any antenna mount, and the FM2 has exactly that. From parapet walls to mast mounts this extruded aluminum workhorse does it all! 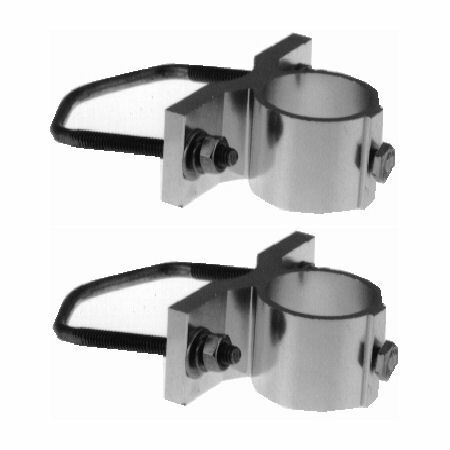 Mounting kit for fiberglass base antennas. Diecast aluminum with stainless steel brackets (2). Includes U-bolts and mounting plate. Will handle mast from 2" to 2.5" diameter.